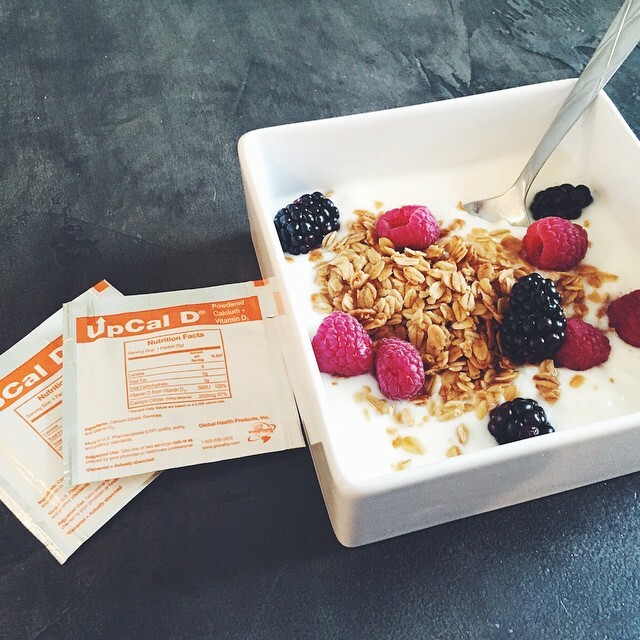 UpCalD Recipe: Wake up with your favorite yogurt, fruit, granola and a serving of UpCalD a great combination of calcium and vitamin d3! UpCal D is a virtually tasteless combination of powdered Calcium Citrate & Vitamin D3. Each 5g serving contains 2500mg of calcium citrate which yields 500mg of elemental calcium that your body absorbs plus 500IU of Vitamin D3.